Whether it’s a trip to the State Fair or a local gathering, funnel cakes are a very familiar sight and smell in almost any food truck type circle. The rich sweetness combined with a certain doughy scent that’s practically unmistakable is an immediate draw to anyone that has a hunger and a sweet tooth at the same time. 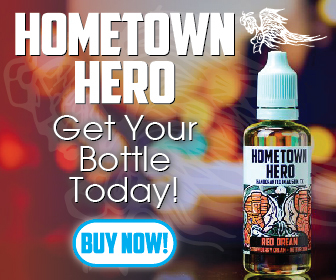 The people at Showdown Vapor have explored this in their Carney Sideshow line, a 4 flavor variety that explores three funnel cake flavors and a lemonade vape. We’ll explore the lemonade at another time….today I wanted to focus on the three funnel cake flavors. Packaging: All of the flavors in this lineup feature the dirty white and red tarp of a big top circus tent. The words “Carney Sideshow” feature a mixup between a freak show and an old time three ring circus (an obvious throwback to whatever realm the word “circus” takes you back to). Below that is the flavor choice (Strawberry, Blueberry, Originale). 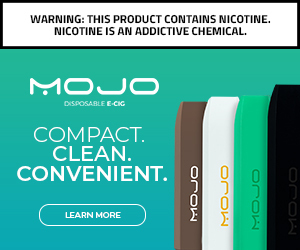 The very bottom of the label features the nicotine strength, bottle size, and the all-seeing eye of the FDA nicotine warning label. The backside shows Prop 65 warning, ingredients list, Showdown Vapor manufacturing info, and the PG/VG ratio. Flavor: The reason I decided to combine all three of these into one article is because you have to understand the base before you can look at the other two variations. The Originale flavor is described as a cinnamon brown sugar funnel cake, and it plays up to its strengths pretty heavily. Not quite a custard type flavor, but I still get a similar fullness in taste. Cinnamon isn’t too heavy, and the brown sugar doesn’t really burst through either. It’s actually a pretty consistent flavor throughout, whether you drip it or tank it. Next Next post: No. 32 (Regular and Salt Nic available) by Beard Vape Co.